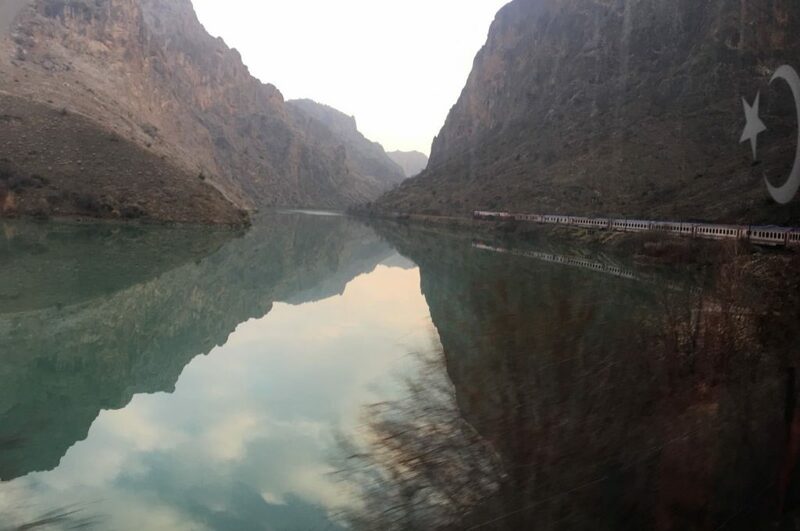 The Eastern Express rail service (or Doğu Ekspresi in Turkish) between the city of Kars on Turkey’s North Eastern border and the capital Ankara has grown increasingly popular among domestic tourists recently. 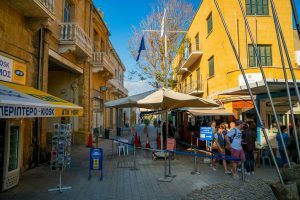 Over the past year, young Turks have become enamoured by the overnight train, leaving it difficult to get a ticket at times. Once part of both the Ottoman and Russian empires, and home to the ancient site of Ani, Kars has long been overlooked as a cold provincial backwater despite its rich heritage. 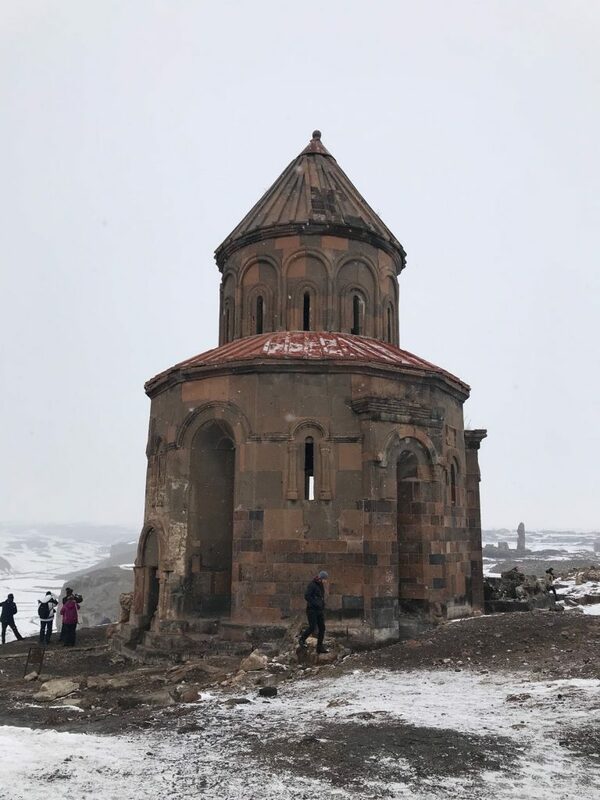 Sitting near the Turkish-Armenian border, Ani’s ruins are included on the UNESCO World Heritage List and visitors are flocking to the site with the new found appeal of the Eastern Express. Visiting Kars has grasped the imaginations of even the most widely-travelled Turks despite its dismissal by Literature Nobel Prize winner Orhan Pamuk as a despair-invoking and “failing city” of “forgotten people” in his 2002 novel Snow. The trip “is so popular in Turkey now,” Kars holidaymaker and Ernst & Young consultant Elif Yılmaz told T-VINE. “I grew up watching Turkish movies, seeing all those old trains with people moving from Eastern cities to Western ones either to find a better life for their families or to survive. While I was on the train, I remembered all those spots from the movies and thought about how people had to move from their hometowns with only a suitcase and no guarantees in the cities where they were heading to,” she added, appreciating the nostalgic side of the journey. Far from the melancholy city and people of Snow, Elif’s taste of Kars life was starkly different, “I think every city has something unique, and in Kars I experienced cold weather, warm people and special local food including goose,” she explained, but added that she had some problems understanding the local dialect at times. For Elif – who has travelled to far flung destinations including Mexico, Peru and New Zealand – and many like her from Western Turkey, this was her first experience of Eastern Anatolia. “It was totally different for me. 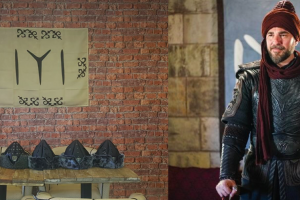 Since I went there during the winter season, the city was covered with snow and it was so cold there I could feel the ice on the inside,” she explained, but still braved the cold to experience this unique Turkish city. 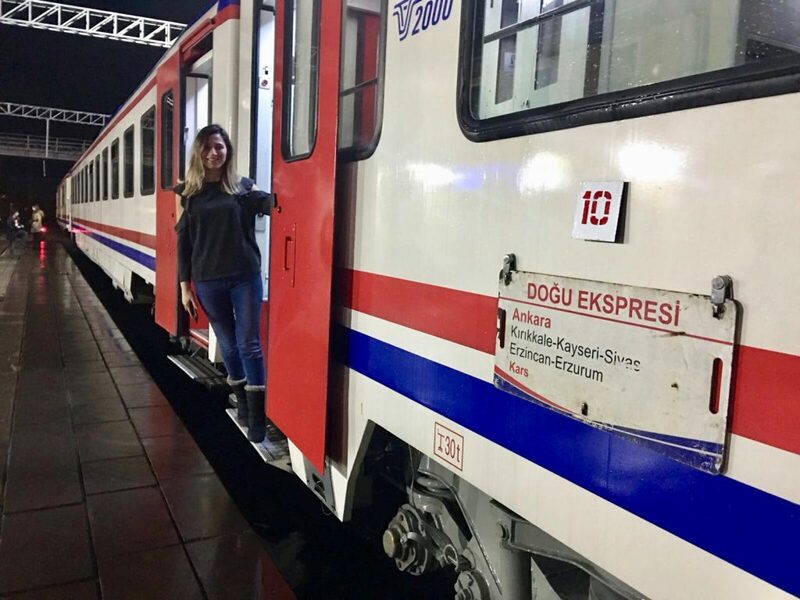 Elif Yılmaz on board the Eastern Express to Kars, northeast Turkey, Jan. 2018. Ani, once known as “The City of 1001 Churches”, is home to the remains of numerous Armenian Christian places of worship including a still-standing half of The Church of the Redeemer and the city’s cathedral, which were built under the rule of the Armenian Bagratid family who used the city as the capital of their kingdom in the 10th and 11th centuries. The kingdom was later absorbed into the East Roman or Byzantine Empire in 1045 before falling to the Turkish Selçuk Empire around two decades later, who would then install a Kurdish dynasty known as the Shaddadids in 1072. Parts of a mosque including a minaret built by the Shaddadid Emir Manuchihr ibn Shavur are also visible among the ruins. The more recent history of Kars adds another layer to this cultural melting pot. The city was ceded to Tsarist Russia by the Ottoman Empire in 1878 with the Treaty of Berlin that concluded the Russo-Ottoman War, before returning to Ottoman hands when the Bolsheviks pulled Russia out of the First World War by signing the Treaty of Brest-Litovsk in 1918 with the Central Powers. While under Russian rule, the city and surrounding area was graced with several notable Russian buildings including a Hunting Pavilion used by the last Russian Tsar Nicholas II, the Fethiye Mosque which was converted from a Russian Orthodox Church, and the Old Governor’s Mansion which was built in 1883 and would later be the site on which Turkey and the Azerbaijani, Georgian, Armenian and Russian soviet republics would sign a treaty recognising common borders in 1921.